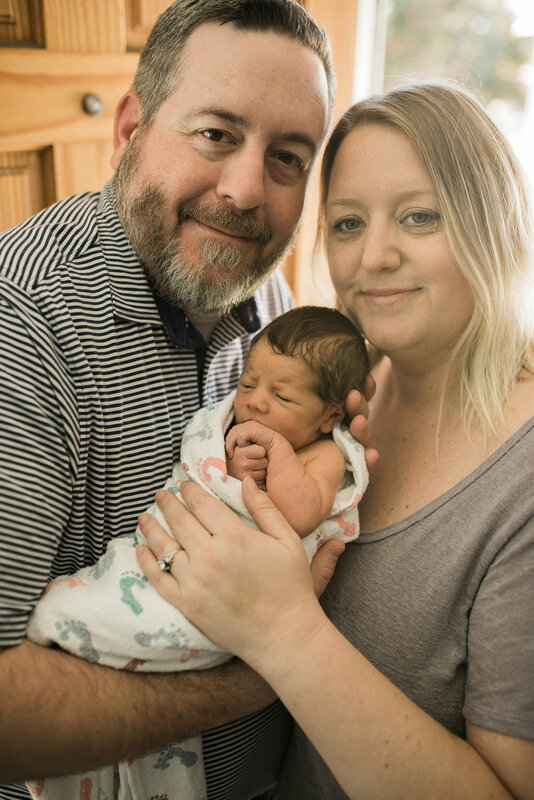 This Newborn session is so near and dear to my heart, I’m so thankful I get the opportunity to photograph family and all their seasons of life! These two have been waiting a long time to grow their family and I am so happy Evan has come into their lives forever. In home Lifestyle Newborn sessions are , in my opinion, one of the most authentic ways to capture this precious time. What better place to shoot in than in your own home!? Its the best environment for mama, baby and the rest of the family. 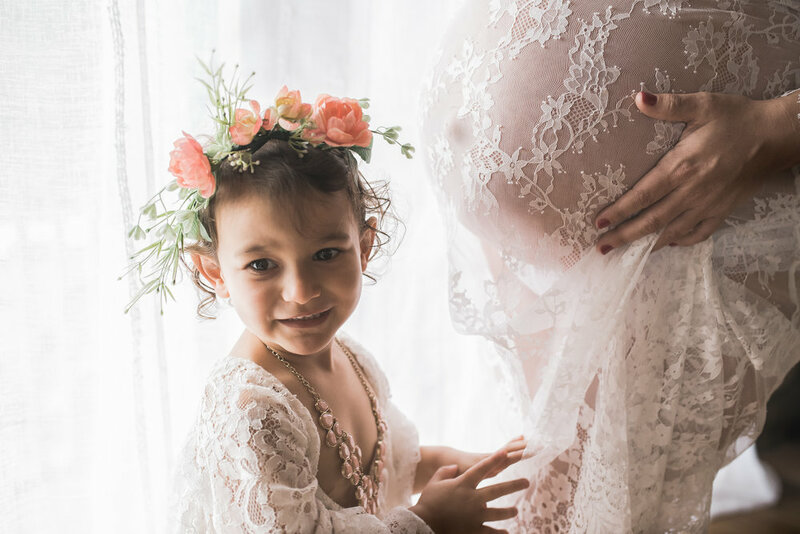 Are you expecting a new baby and interested in a Newborn Session? I’d love to help answer any questions and get you in front of my camera to capture this special time in your life! Click below to learn more! Becoming a Mom 6 years ago has been the biggest blessing and most rewarding jobs ever. This lovely mama is about to have not one, not two, but three beautiful girls to mother. 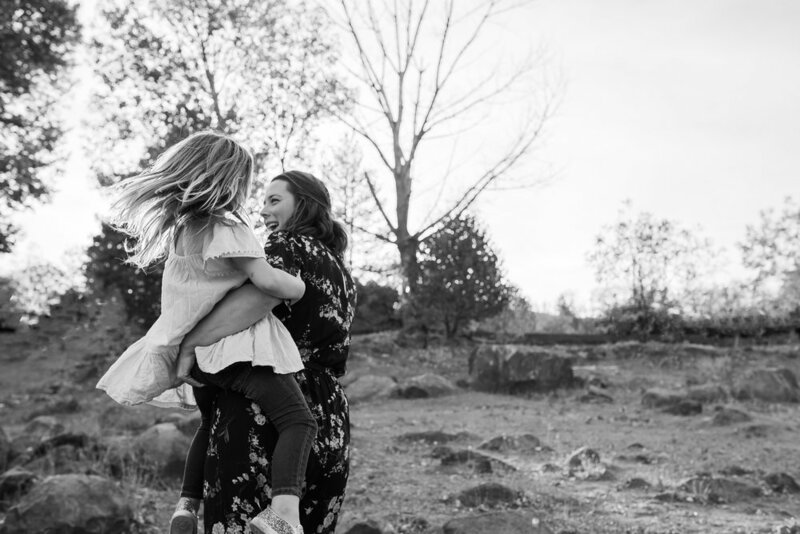 I’m so happy I was able to capture such a special time for Sophia with her oldest daughter, Aria. I remember wanting to soak up every minute with my first before my second was born. 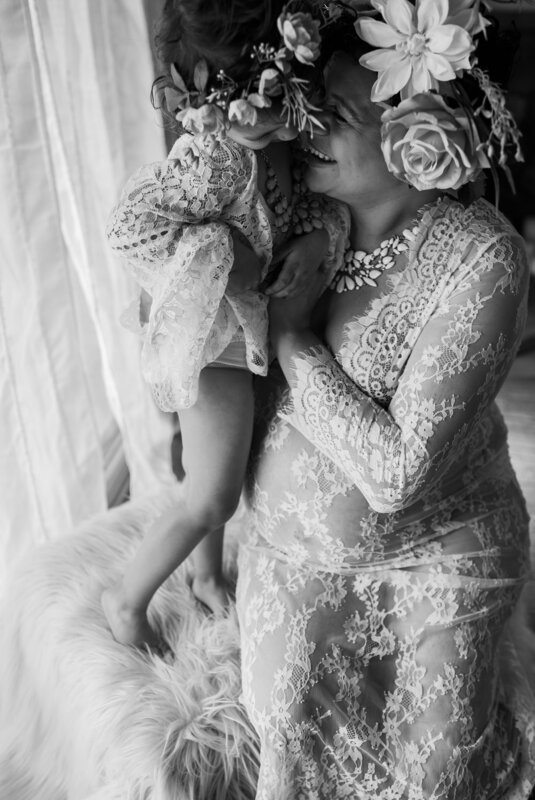 This beautiful, intimate mother daughter session has inspired me to do so many more sessions like this in the studio. 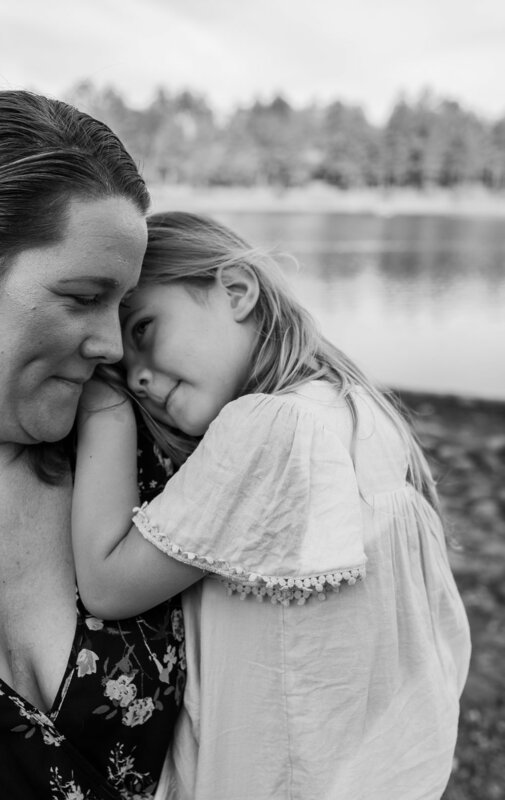 I have an opportunity for these on May 4th, I’m hosting Mother’s Day mini sessions. 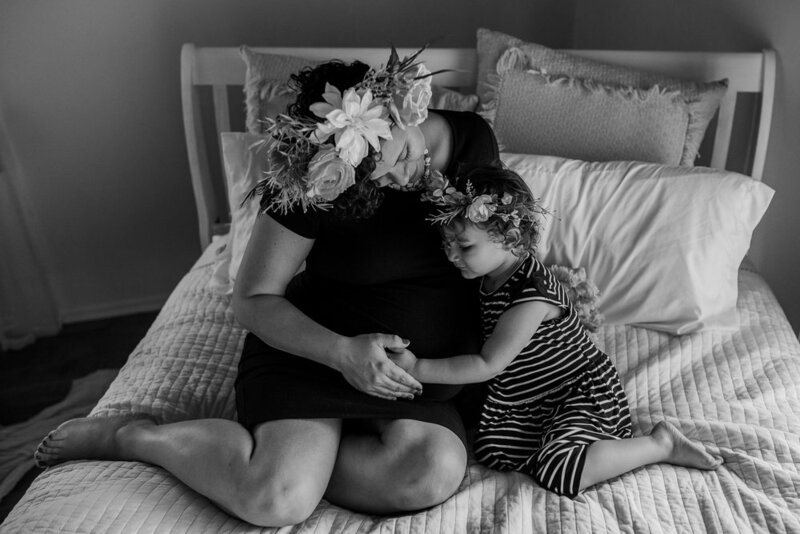 Spots are filling up quick and I would love to be able to give this beautiful gift to as many mamas as possible. There is a button at the bottom of this post to inquire about booking. Click this button to inquire about booking for the Mother’s Day Mini Sessions! February is one of those months that seems to always fly by! 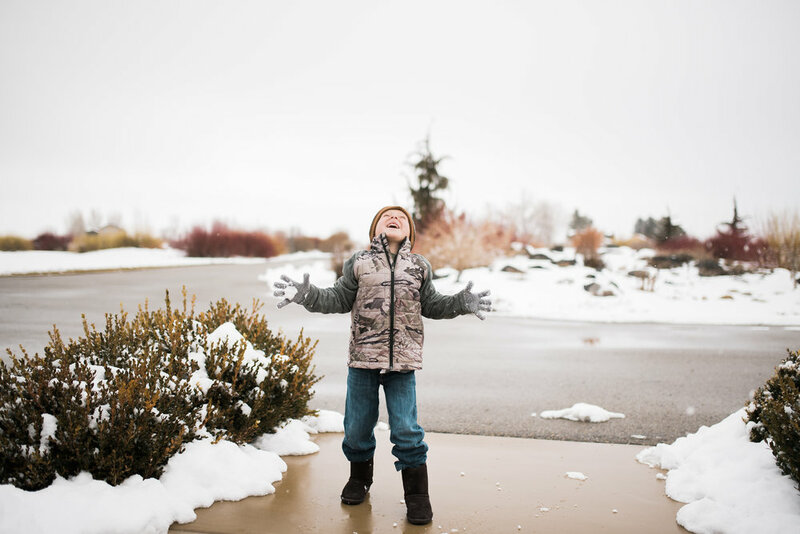 We had our first real snow fall and then at the end of the month we visited one of our favorite family’s in Idaho to attend a wedding. I love being able to capture the little things that happen in each day. February 1st Just a slow morning watching my girl do crafts by the fire. 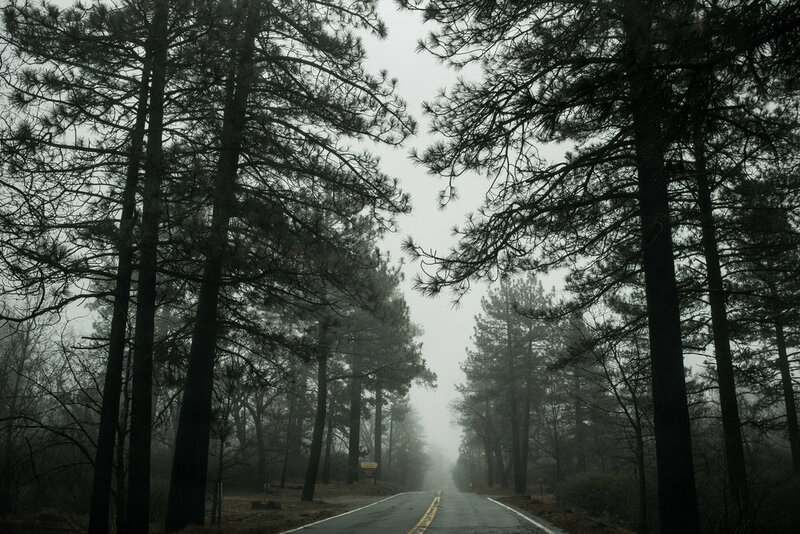 February 5th On a drive up in the Laguna Mountains in the fog. February 6th Our first dusting of snow this year! February 7th Morning routines. Sitting on the couch texting good morning messages to Papa. February 11th Spider-man filling in for Papa. February 13th One of those days I slowed down and just snuggled with my girl in her bed, the lighting in her room was catching all of her beauty. February 15th goofy kiddos, this girl is always dancing. February 20th Airport hangs. Getting ready to take off for Idaho. 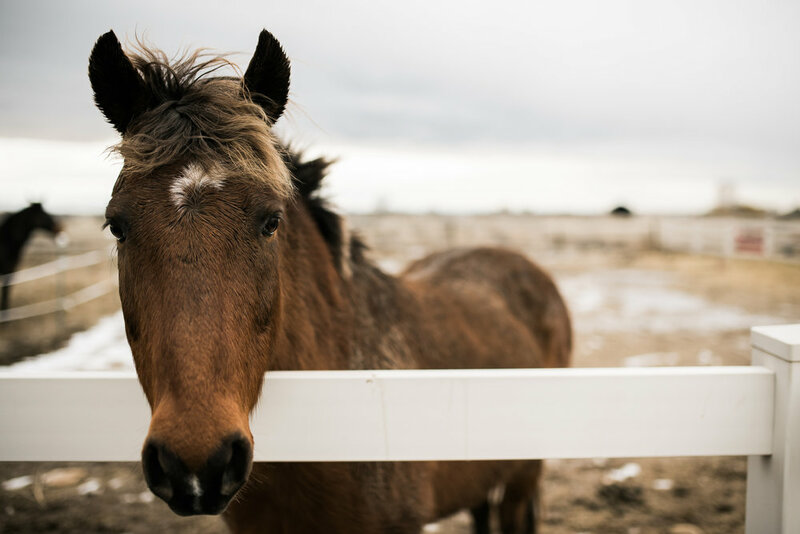 February 24th I love photographing horses any chance I get, they are just so beautiful and majestic! 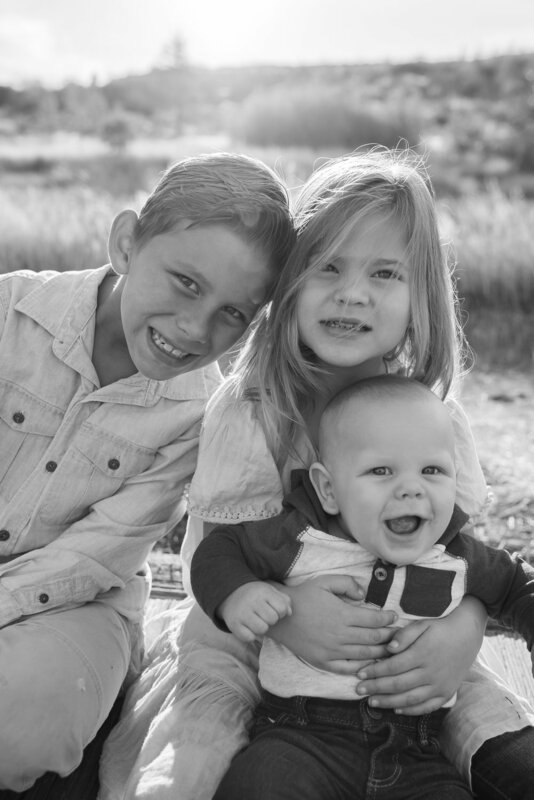 I have been photographing the Copeland family since their oldest was just a little newborn. 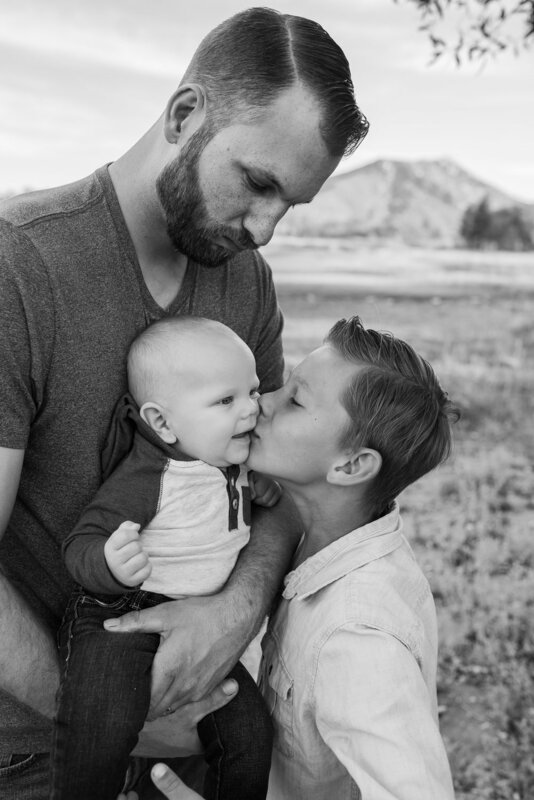 I am so honored to be trusted with each and every family I capture. 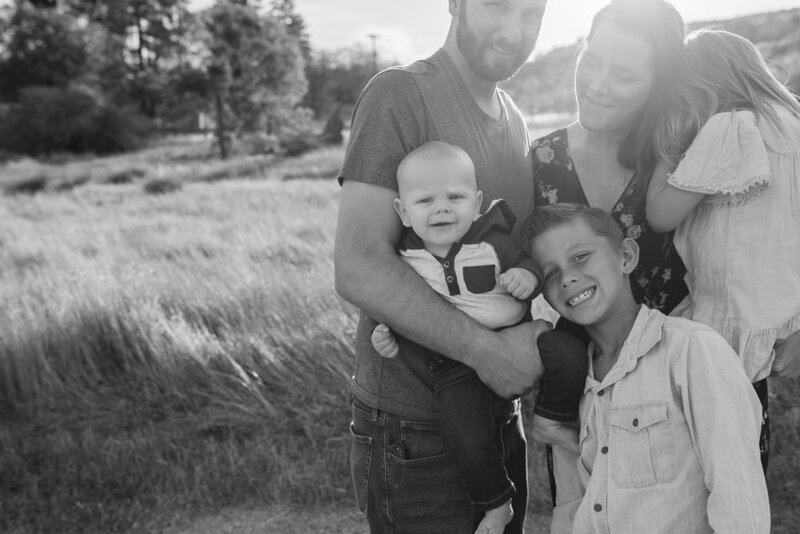 I adore shooting families and realize how incredibly important it is to capture each stage. I strive for my photos to tell more than words can. My goal at each session is to capture you just as you are, come as you are. 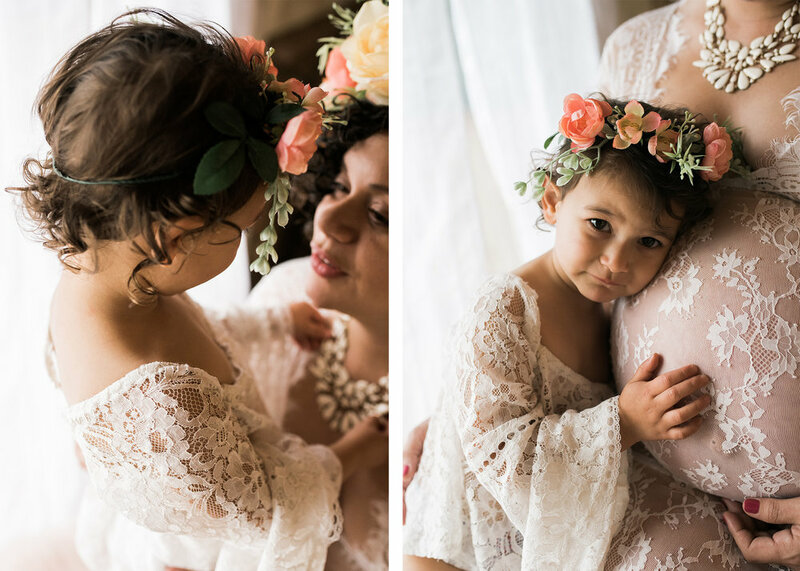 These images will be cherished when your littles have littles of their own. Often times looking back at my own family photos has brought so much appreciation and I am reminded what is the most important thing in my life when my eyes gets blurry and I lose focus. 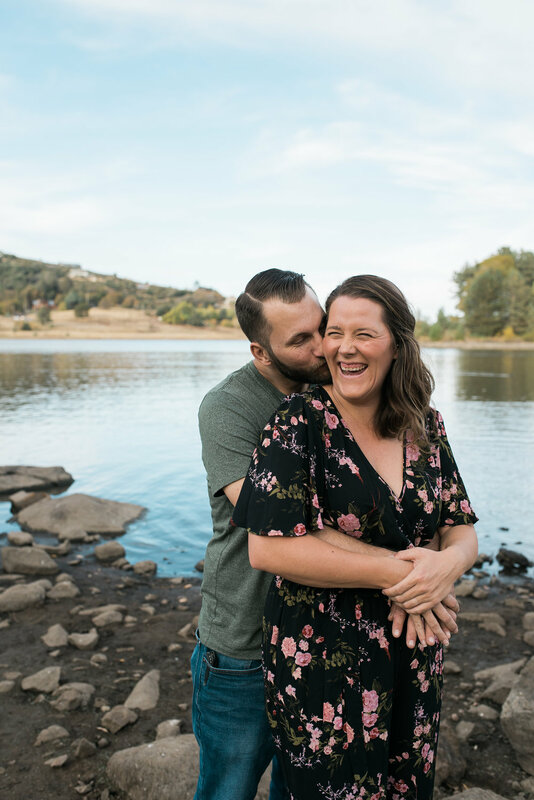 When Stephanie first contacted me about scheduling a session with her and her boy Lochlan, I got really excited and had some amazing ideas come to mind! These two are not only adorable with a great sense of style but I loved watching them and their special bond as mom and son. We started out at one of their favorite San Diego coffee shops, darkhorse coffee roasters in North Park, then walked around and stumbled upon the coolest book store and my favorite shop, Pigment. These are hands down some of my favorite images from 2018. Thank you again Stephanie for the privilege to document such a special part of your life. 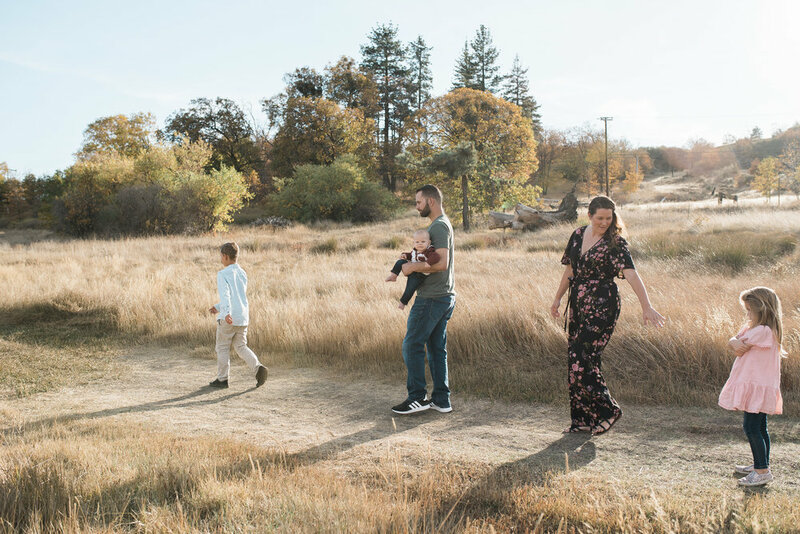 It's been a minute since I've blogged, this family session was one that I wanted to get up on the blog asap! We had so much fun shooting, mama was super prepared with some adorable props for her girl and I'm so happy they chose to do photos in my neighborhood! My fam is getting ready to wake up at 2am and drive to Idaho for a vaca!! I'm pretty excited to have more time with my people, visiting framily plus I'm getting my photos done!!! Here's to an amazing week!! I can't get enough of this cuteness! 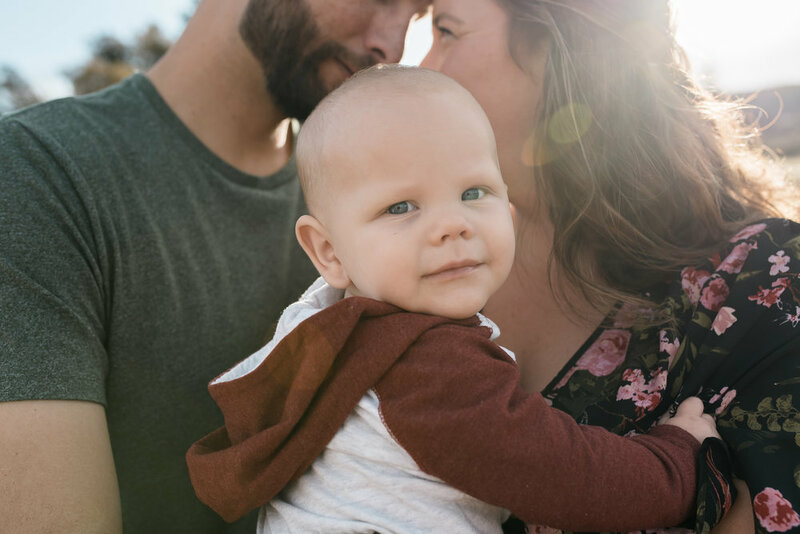 If your wanting to get your family photos done, please reach out! The fall season is almost here and I'm filling up with sessions already! I'd love to capture some beautiful memories for you. As a Mom, you try to be prepared as possible with your littles everyday. You can anticipate their needs and be ready with things such as snacks, diapers, activities, the list can go on and on. 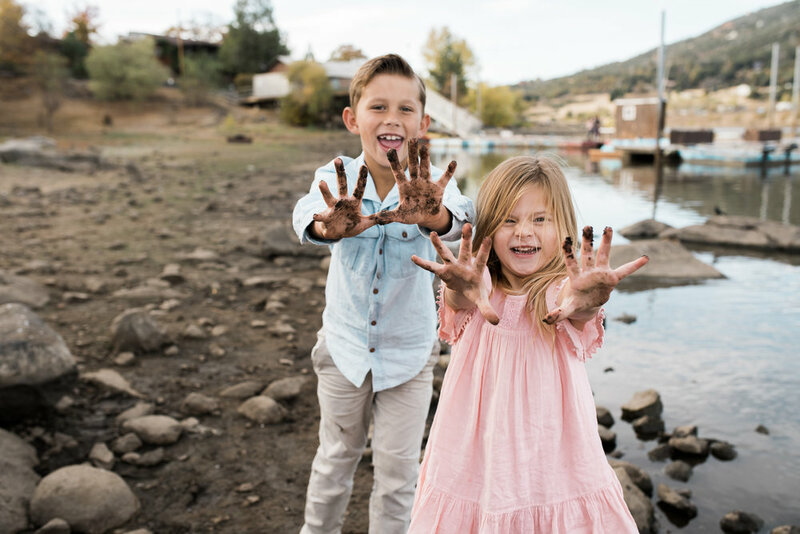 When booking and planning for photos with your kids you may not know what to expect. I've put together my top five list of tips on how to prepare and go through a session with kids smoothly and as stress free as possible. Pick a session time that is ideal for your kids. 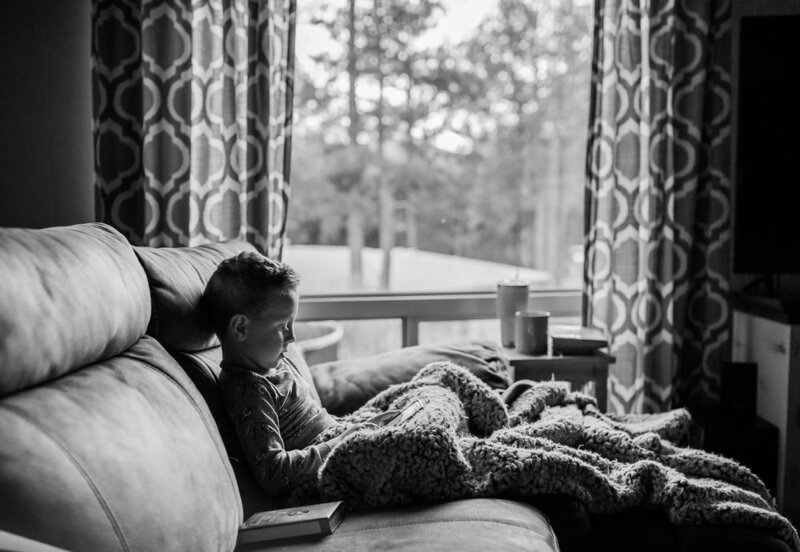 Most photographers will suggest and say they recommend sunset hour (golden hour) and while I prefer that time of day for lighting I also understand that it may be too close to bedtime for your littles. If that's the case they will probably not be in their best moods that time of day, then I would recommend an early morning or sometime after nap time and we can still get some beautifully lite photos. This photo was taken in the middle of the day, the light is a little more harsh but its still a great shot! choose outfits that are comfortable and easy for kids to move around in. Both of my kids are sensitive to tags and certain fabrics. Therefore I know they will complain if there is a itchy tag in their shirts or an uncomfortable waist band on pants. I'm obsessed with flower crowns but I also know that not every little girl is going to be ok with wearing one. It's always worth a try but don't force something otherwise there might be lots of tears in photos. 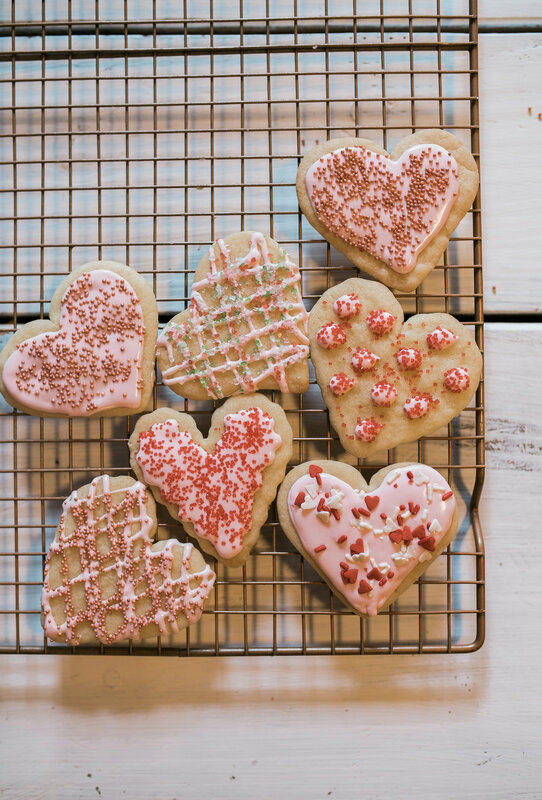 Plan to bring something fun to play with or an activity that your kids will enjoy! 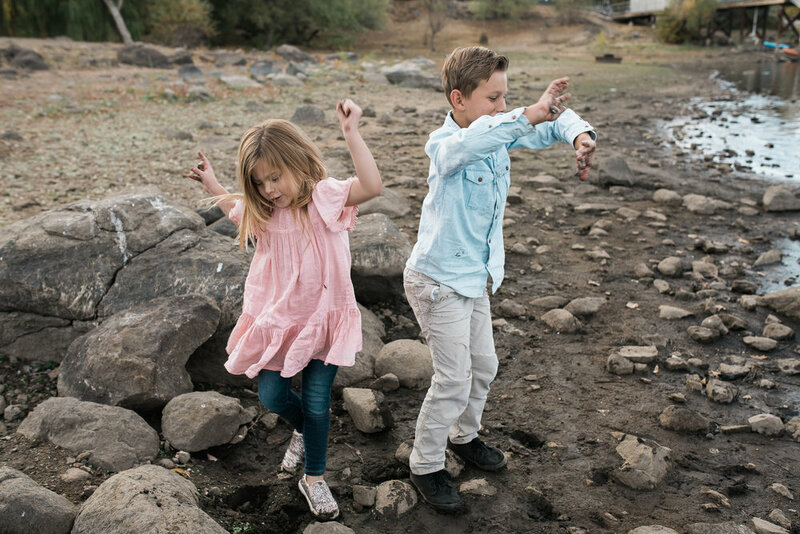 Bubbles, a picnic, a favorite stuffed animal, a fun game such as ring around the rosie or dancing are always a fun way to get kids distracted if they are over it or starting to throw a fit. During a session I will always suggest a fun game like peek a boo or dancing to get some giggles. SNACKS! Kids can eat none stop, sometimes I like to take a break in the middle of a session for a quick snack! Remember to bring something that won't stain faces or clothes. I also suggest bringing or offering some kind of treat at the end of the session. I'm not against bribing kids for great photos, sometimes it works like a charm!! At the end of the day kids will be kids. We can't always predict their mood changes and even though it can be frustrating we can't flip a switch and turn it off, even though that would be awesome! Of course we all want "the perfect shot" with everyone smiling and looking at the camera. I'd say most if not all of my sessions I can at least get one of those in your gallery. 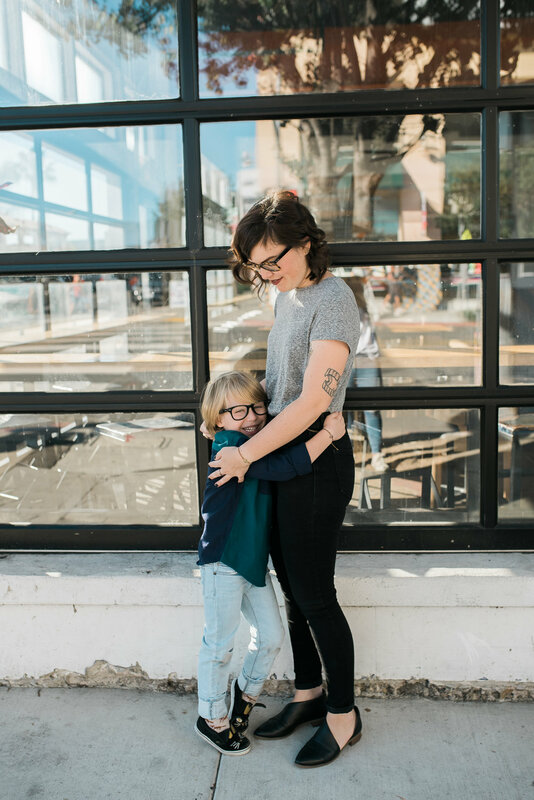 Some of my favorite images are the in between moments, the candids, everything may not be going exactly the way you pictured it but the moment, together, is being captured and honestly as a mom I'm so grateful for every image of me with my kiddos. If you are interested in a session I'd love to chat more!! Goodmorning!!! I can't believe its been so long since I blogged last, time flies when your having fun! I'm sitting here in my dining room, sipping my coffee, writing this blog post as my two littles sit next to me drawing and talking about what they are drawing/ coloring to eachother. This right here is my happy place, its not always easy and I could complain about how much they don't get along, are sometimes super defiant or how many chores I have to do and things that are on my to do list. Instead I'm sitting here content because I am so incredibly blessed and I don't want to take that for granted. I had the best experience with this extended family at their session and it ended 2017 leaving me feeling so happy that I get to do this!! Capturing the connection, the love, the special lifelong bond that families share is something I still and will always cherish. Here is the Culver family, most of them live in Hawaii (rough life huh?!) 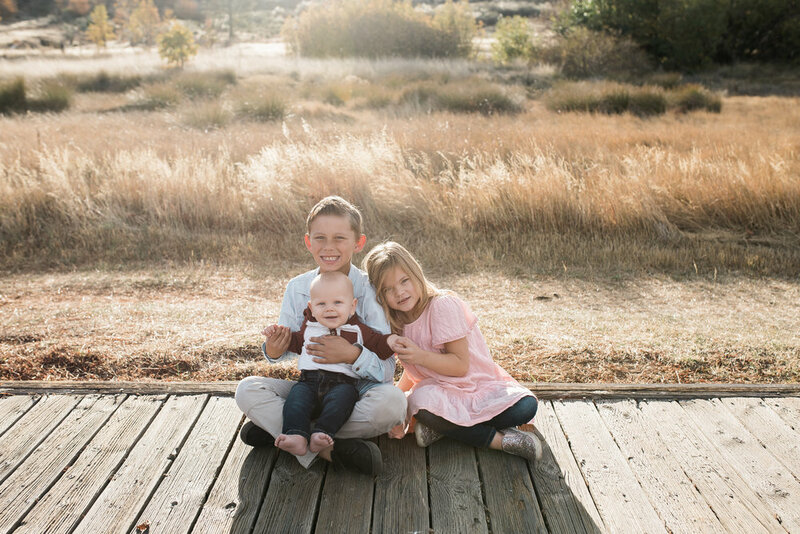 they came out to california for Christmas and reached out about a family session in my mountains!! We had such a fun time laughing, everyone was just super easy going and really just enjoyed their time together, even with all three little ones! Culver family thank you again for having me document your beautiful family and capture some pretty special memories. 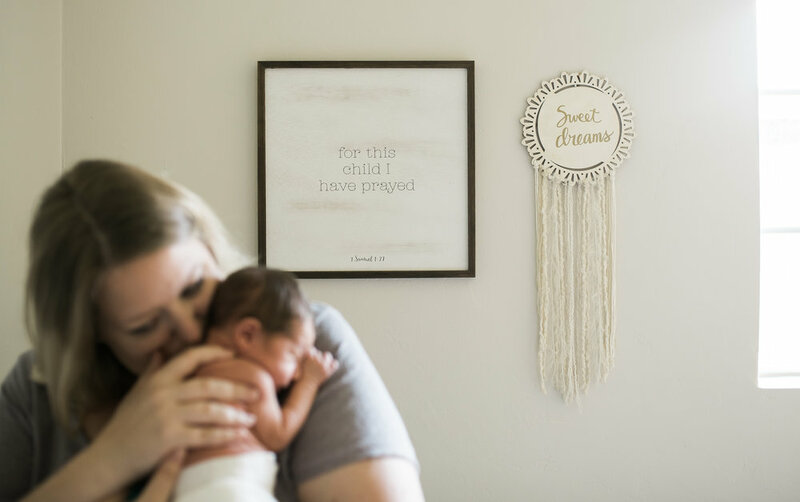 Shooting in home newborn family sessions (whew, thats a mouthfull) gives me allll the feels! The Kleinertz family invited me into their sweet home and introduced me to their brand new baby boy, Remy. How cute is that name!?! 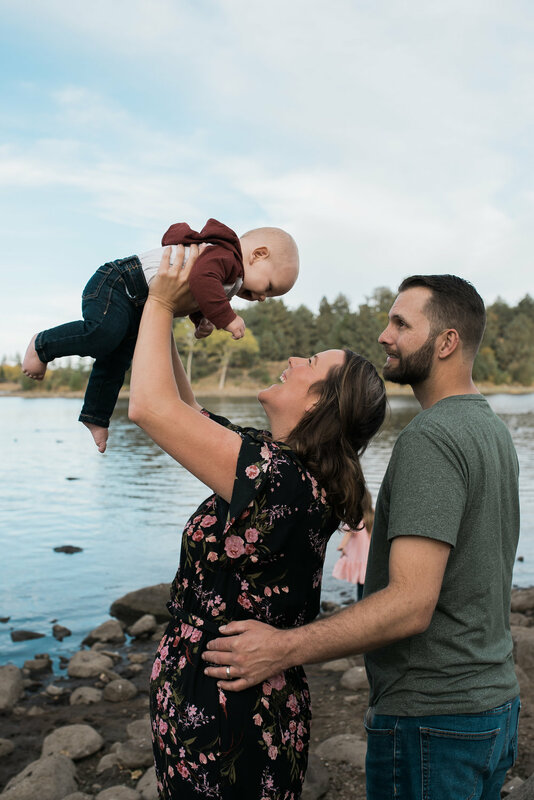 Keep scrolling to see more of this adorable family plus I wrote a few tips when planning your in home newborn session. Thank you again Kleinertz family for having me in your home to capture this special time for your beautiful family. 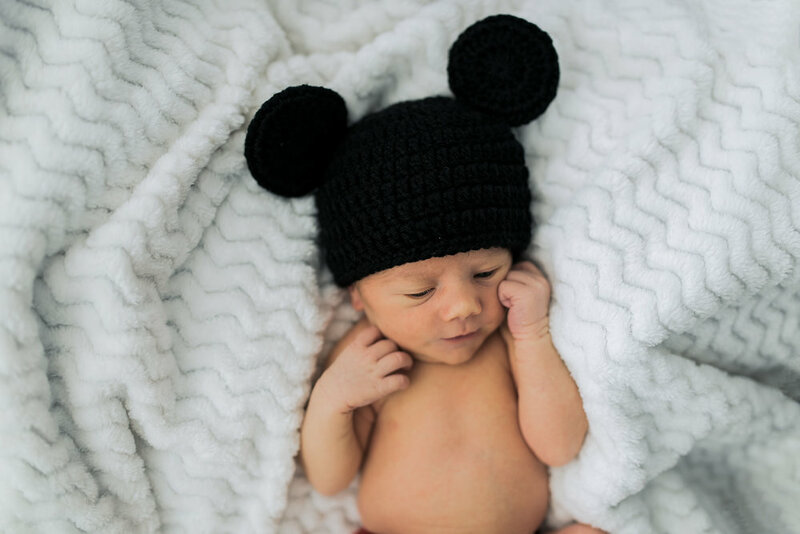 I wanted to share a few tips when planning an in home newborn session that might help prepare and give you ideas when planning for yours! When to plan your session? I recommend within the first, at least, three weeks after baby is born. 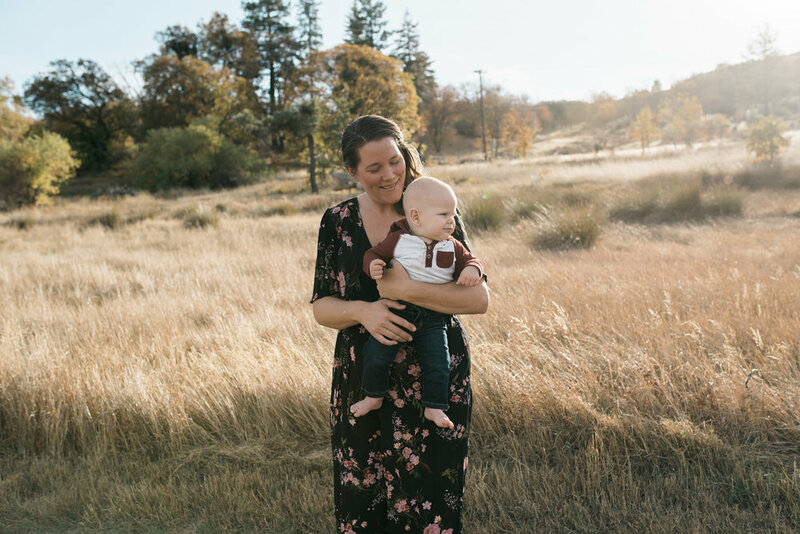 You want to wait until after you have been home and settled for a few days from the hospital but don't wait too long, babies tend to stop sleeping all day long and will get into routines and begin to be more fussy on a daily basis, sorry new mamas! I have shot plenty of one month old babies in their homes and it goes well so please don't let this detour you, its only my recommendation. Make sure baby is fed and has a clean diaper before your photographer arrives. Have any other family members dressed and ready before this as well. It's a good idea, if you have other littles to make sure their bellies are full before your session. What to wear for an in home session? I always recommend some comfy clothes when doing an in home session! It's typically not the session to pick out those fancy dresses or have your guy in slacks. 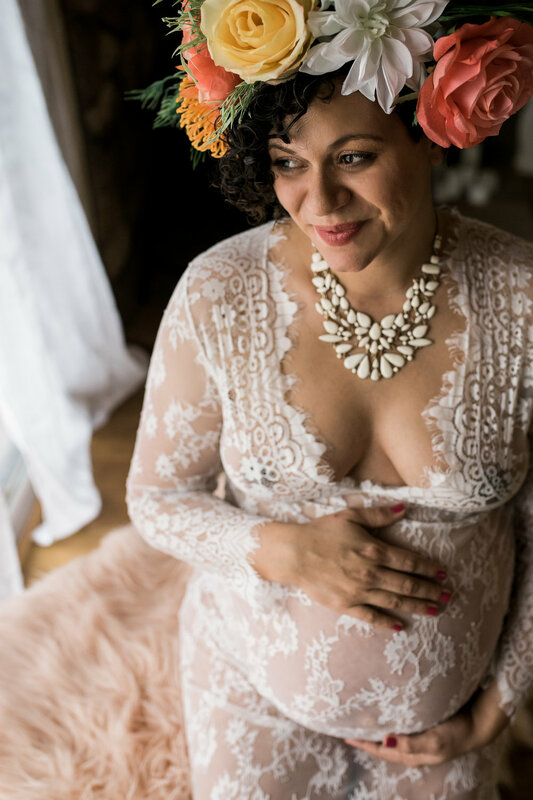 I recommend starting with Mom, when you are comfortable and feeling good in what your wearing it shines through in the photos. Pick colors and patterns that would compliment your homes decor! I prefer a neutral palette but if you like bright bold colors than you do you! Remember when dressing a family, matchy matchy doesn't work and is a little old fashioned. Think coordinating, choose 2-3 colors and work with what you have. You can mix patterns as long as they compliment eachother. You don't need to have a gorgeous designer home to do an in home session. All a photographer needs is a space next to a door, window with good lighting and we will work our magic. I've even moved peoples furniture around to get just the right angle or wall I want to use. So please don't let this stop you from doing an in home session. 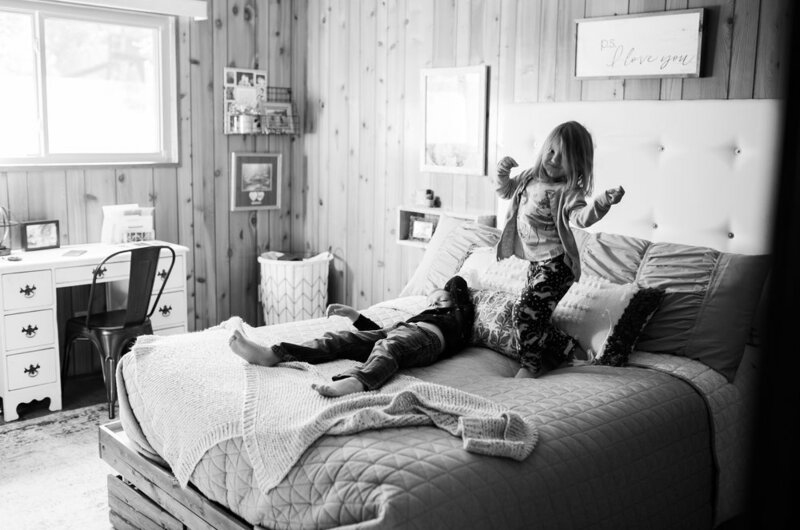 Nothing beats the comfort and cozy of your own home and to have that captured in photos with the ones you love will be something you will cherish forever. I was so happy when my girl Jenn reached out to me about shooting her daughter's first birthday!! Little one's grow up so fast and its such a priveledge to be able to capture it for others! We did a cake smash session in the studio with the most beautiful and tasiest cakes I've ever had, made by one of my neighbors!! She does cakes on the side, let me know if you want her info! I set this all up with all things pink, of course, and it turned out so cute!! A couple weeks later was birthday girls unicorn party. Props to her mama for putting this together!! Planning parties is no joke! Finley family, I hope these photos bring you joy and fond memories looking back as she grows each year. Congrats on making it through the first year with your beautiful daughter! I had the great opportunity to capture so many families in 2017, I honestly feel so blessed to get asked to do this! An old friend reached out to me for a family session as well as first birthday photos for their beautiful little girl. Finley family, thank you again for entrusting me with such special memories! 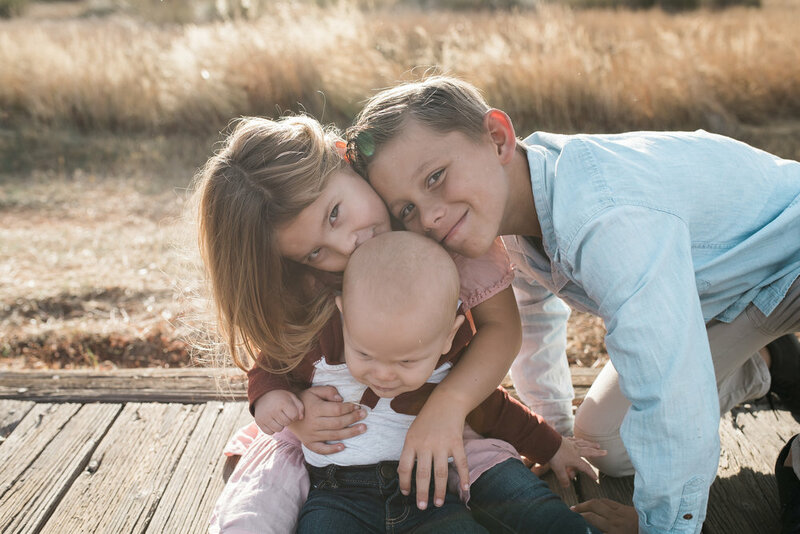 Thomason Family, thank you so much for trusting me with capturing some beautiful, special photos for you to cherish. Nichole has quickly become one of my close friends since meeting her about a year ago, bonus; we're pretty much neighbors!! Ok, well not that close but they too live in our little mountain town of Pine Valley so we took advantage of our gorgeous surroundings and shot up the hill from their house! I absolutely love capturing the connection between a family and feel so blessed to be able to do so for friends. This family is so near and dear to me and this session is one of my favorites from this year. I've been photographing the South fam since little Logan was just a tiny newborn. He has grown into a sweet boy with a funny personality and so full of energy!! Thank you again for trusting me with such precious memories. Well I can finally check Lake Tahoe off my bucket list! I can't wait to go back again, maybe next year?! There was so much to see and do and great for families. We explored Cascade lake waterfall, Popes and Sand Harbor beaches, Truckee River, the local farmers market, plus had a gorgeous/huge mansion for all 20 plus of my hubby's extended family. On our last day there we learned there was a black bear just hanging out all day in our neighbors tree!! Its hard to see but its in the middle tree. My favorite spot on our trip was east Lake Tahoe in Sand Harbor beach. The water there was unbelievably clear blue, I just had to jump in, climb some rocks and explore. My heart is just bursting with happiness for this family right here! Little Lilah Penelope (cutest name right?!) is such a beautiful mix of both Levi and Samantha. The joy a newborn brings to the home is a feeling that can only be described or understood if you've experienced it for yourself. 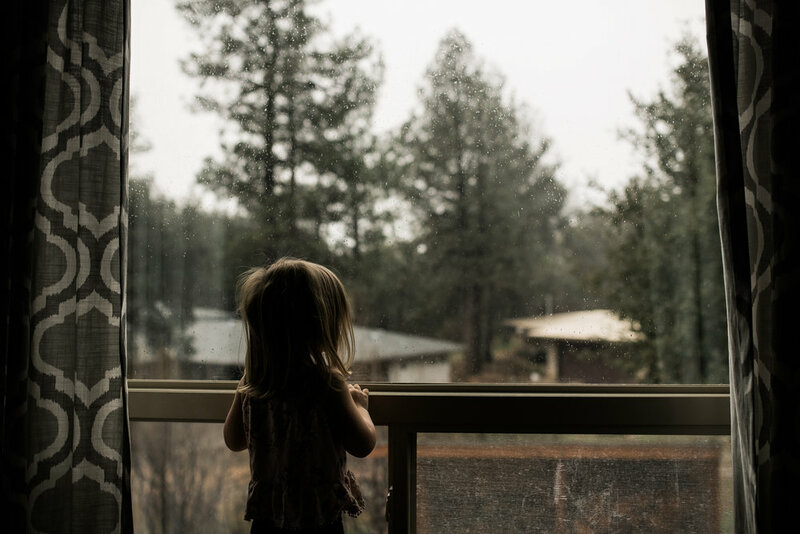 It is also a time that goes by far too quickly and you want to soak up every minute as much as possible (except for maybe all those sleepless nights and fussing). Congratulations Kottas family and thank you again for having me in your home for such a special session. Hi! Happy almost friday! I absolutely love the weekends because it always means family time and usually a photography session or event. I've had some beautiful sessions all around San Diego recently with perfect weather, right now is the best time (before it gets too hot) to have photos taken. Then again we always seem to have the perfect weather here! This post it meant to help answer a few questions I get regularly, in hopes to make it easier for you to schedule your desired session with me! Again, if you have any questions about a session please don't hesitate to ask! I'm even happy to take you out for coffee to meet in person! "I don't have the extra money to book a session!" I totally understand not always having extra money for things that aren't in our budget. My best piece of advice for this is to plan ahead! So we're in the month of June, lets say you want to book a session for sometime in September, this gives you 3 months of setting aside some money. I require a deposit to book any session, typically $50-100, and that deposit will hold your date and time for you, so when I recommend booking your session now this doesn't mean you need to come up with all the money right now. I also accept credit cards now through honeybook.com which has helped tremendously with my workflow, contracts, and even other contacts in the creative industry. "I don't have the time to set aside for a session"
Life gets busy, things come up and before we know it we haven't gotten around to doing all the things we wanted to! Again, plan ahead, this way we have something on the calendar and can plan life around this. Planning ahead can also set your mind at ease about saving money, finding outfits and sitting down with me to plan your perfect session! The final question/concern I want to talk about has to do with our body image, not wanting to be in photos because we "need to lose a few more pounds", "hate the way my body, hair, face, mind is after having babies", "not liking my smile", "my double chin", "I'm not tan enough, skinny enough, pretty enough"
DON'T BELIEVE THE LIES WE TELL OURSELVES!! Please don't let this be the reason that's holding you back from getting photos done. 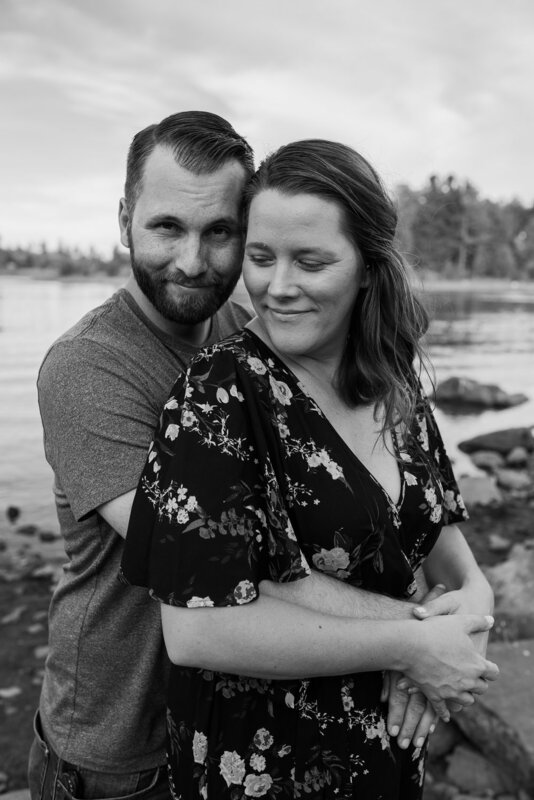 I've had several of my clients tell me after a session, even boudoir, that they are so happy I captured this time in their lives and were happy they didn't let these issues or concerns hold them back. You won't get this time of your life back, time passes, kids grow, people change and your photos are such a beautiful, tangible way of remembering. I've gotten so much joy looking through old and recent photos of me with my loved ones that those concerns don't even matter at this point. 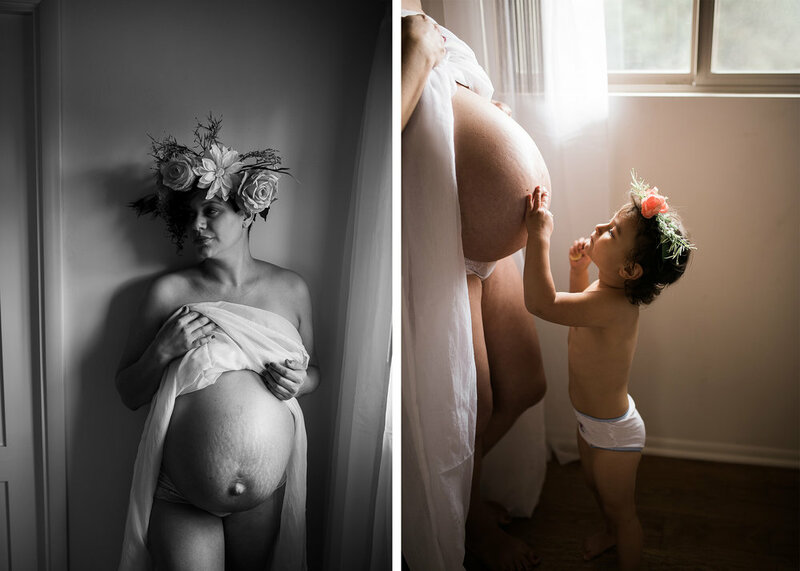 I met this sweet mama who also happens to be a very talented photographer at my MOPs group about a year ago. I had the privledge of working along side her as a second shooter last year. Photography has opened up so many opportunities for me, its been such a blessing to have met new people, give the gift of memories, have an outlet/job that I'm truly passionate about. It makes me incredibly happy that I could provide this mama with some special photos of just her and her boys. The World is too big to stay in just one place and life is too short to do just one thing. We decided the week before to just hit the road and go someplace. As a family we haven't done a vacation together since River was born so I was pretty excited to have this time together. We drove up North all the way to Redding California where my little sis and her hubby live. 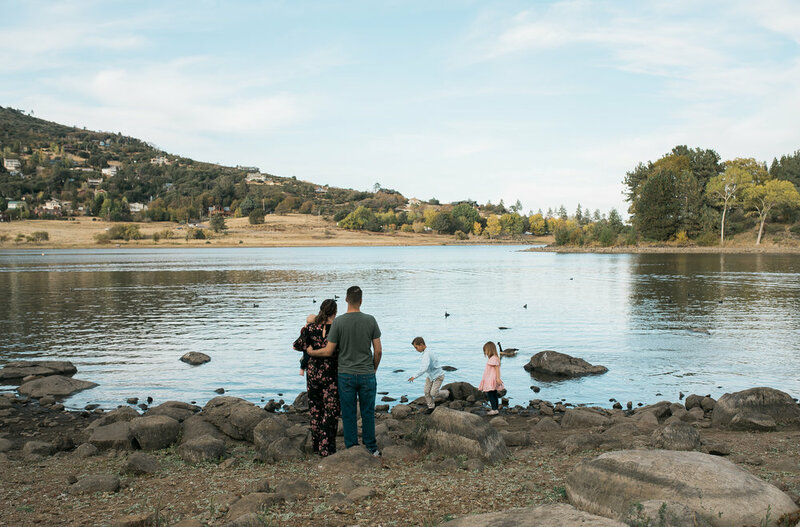 We visited Shasta Dam then up a little more to Whiskeytown Lake. It was so good to visit my sissy again while she was on her spring break, the kids couldn't get enough of Auntie Shell. After a few days we left Redding CA and headed to the coast to see the gorgeous Redwoods, made it to Paul Bunyan and his blue OX at the Trees of Mystery. We enjoyed a yummy lunch at the Forest Cafe drove back down the 101 and stopped a few other places on the way back to our campground. Driftwood for days! This was one of my favorite things about this beautiful beach we stumbled upon. Gosh I love exploring new places and making new memories with this bunch. Despite a little bit of rain and alot of driving, the kids did sooooo good in the car and really enjoyed our trip together.